Time for beauty shots all around! 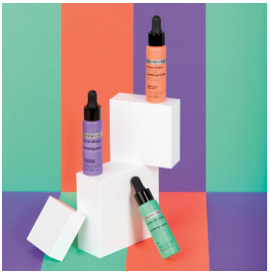 To boost a dull complexion, smooth marked skin and eliminate unwanted imperfections, Made in Sephora had the ingenious idea to create these boosters for the skin that, when used on their own or mixed in with day or night creams, deliver a powerful punch of vitamins and/or minerals. The skin responds instantly by looking more beautiful! Because we often live life on the edge, we’re intensifying our beauty routines with this luminizing serum that increases radiance, chases away a dull complexion, refines the skin’s texture and, as an added bonus, promises to deliver a healthy glow. Its effectiveness after 14 days has been scientifically proven! Within this bottle and pipette lies a formula that contains an intelligent mix of magnesium and citrus extracts (lemon, grapefruit and orange) to use as a 14-day treatment with each change of season. It smoothes tight features and energizes tired skin. Two weeks is all it takes to purify the skin, eliminate excess sebum that plagues the lives of those with combination skin, as well as diminish the appearance of pores and imperfections. Use on its own or mixed in with a regular day or night cream. 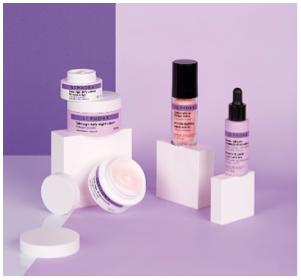 The secret behind Made in Sephora anti-aging care? A carefully developed collagen booster complex. This is how the formula breaks down, but what does this mean for the skin? Softness and suppleness of course, as well as diminished signs of aging and boosted energy within the skin. These smart formulas work tirelessly to help our skin produce more collagen with each day. Now that’s beautiful! Smooth and rich, this cream completes its day counterpart’s action. It offsets collagen deficiencies and works all night long to regenerate even sensitive skin and diminish signs of fatigue. Could it get any better? The results are in: with this cream (and its formula enriched with a collagen booster), the complexion appears more radiant, and the skin is left softer and smoother. We’d be crazy not to love it! Attention delicate areas! Introducing the ultimate in pampering care: this luxurious anti-aging cream with a built-in collagen booster works to improve the skin’s quality, bounce and firmness. With its dual stimulating/cooling effect, this glycolic acid-enriched anti-aging serum with a progressive peeling effect instantly brightens the complexion, diminishes pores and reduces the look of dark spots with continued use. An even-looking complexion is guaranteed! This oil-serum is the perfect solution for those looking for an anti-aging oil that is as easy to apply as a serum (to repair and prevent signs of aging), a treatment that will leave the skin suppler, softer, more radiant, as well as a concentrate of regenerating effectiveness. We adore this serum for its formula enriched with marine collagen and rice nutripeptides that plump the skin and smooth facial features. A flat iron for the skin? Not quite, but almost!